Fill out the form with any questions or inquiries you have for the sales consultants at Kensington Square. You can also call or chat with us for immediate responses. Only 5 chances remain! Sitting in the heart of Morris County, Kensington Square offers a secluded oasis of luxury townhomes in the highly sought after Randolph Township. Explore our collection of options, including a first floor owner’s suite. Enjoy an outdoor pool and clubhouse with fitness room. Discover downtown Morristown just 6 miles away. Our consumer inspired designs offer the latest in smart home technology. The life you want to live is waiting for you at Kensington Square. Explore this community and see for yourself. The Shire is a wonderfully flexible floor plan that offers an optional extension for added living space on the first and second floors. Known for its first-floor master suite, the Stanton home features elegant design finishes including hardwood flooring, oak vanities, and recessed lighting. Only 5 chances remain! Tucked in the coveted suburbs of Randolph, Kensington Square is around the corner from convenient retailers and a 10-minute drive from downtown Morristown’s cultural attractions. Staying in? Take a swim in the outdoor pool or work out in the clubhouse. Tucked between major commuting corridors, Kensington Square in Randolph is within a short drive of high-end retailers like Banana Republic and Talbots at The Shoppes at Union Hill and culture and excitement in downtown Morristown. Discover employment opportunities with corporations like Honeywell, Pfizer and Verizon, headquartered in surrounding Morris County, and explore outdoor recreation at nearby Morristown National Historic Park. 2 model homes to tour! Visit this weekend and learn about our new community and tour our models. New homesites available today! Kensington Square features a clubhouse with prep-kitchen, billards, lounge, fitness room, and outdoor pool. Tour our community today and live the lifestyle you deserve. Receive up to $6,000 towards the closing costs for your new dream home when you partner with Pulte Mortgage and Pulte Homes. 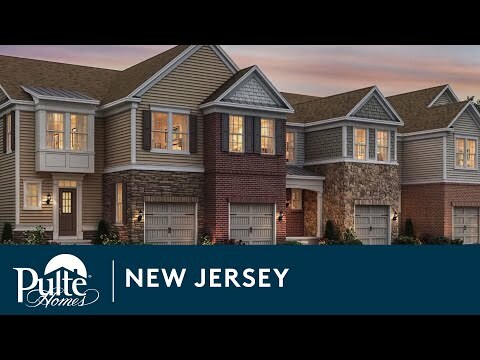 *Valid on all New Jersey new home purchases from 1/1/2019 through 12/31/19. Pulte Homes offers USAA members a $2,000 credit towards options. See a sales consultant for details. Special Pricing For Move-In Today! Under 5 chances remain for move-in today! Schedule your personal tour today and you can be sitting poolside at our clubhouse in no time! Our Life-Tested® homes are backed by our Pulte Build Quality Experience which includes a 10 year limited structural warranty. Visit today!